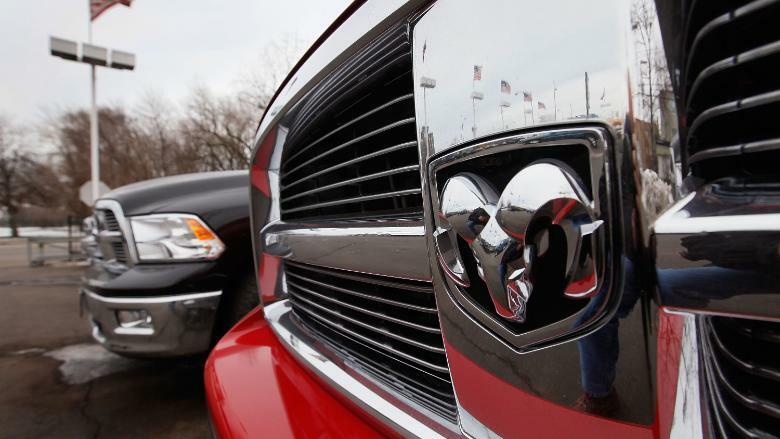 Fiat Chrysler Automobiles is recalling around 1.8 million heavy duty Ram pickups due to a mechanical problem that could make it possible for a driver to inadvertently shift the truck out of park. FCA (FCAU) said in a press release it's "aware of seven potentially related injuries and a small number of potentially related accidents." In certain "high-temperature conditions" the truck's shifter may be moved out of park when the driver isn't stepping on the brake, as would normally be required. This can occur without a key in the ignition, the press release said. The recall includes various types of Ram trucks made between 2009 and 2017. Drivers can check to see whether their vehicle is affected by entering a car's VIN number here. The recall impacts only trucks with shifters mounted on the steering column, not trucks that have rotary-dial or floor-mounted shifters. The company said in addition to the 1.5 million Ram trucks in the U.S., about 250,000 trucks in Canada, 43,000 trucks in Mexico and 15,000 elsewhere in the world are included in the recall. "Affected customers will be advised when they may schedule service," FCA said. Customers can contact FCA at (866)-220-6747. In May, the company recalled 1.3 million pickup trucks due to a software problem that may have been tied to at least one death and two injuries.